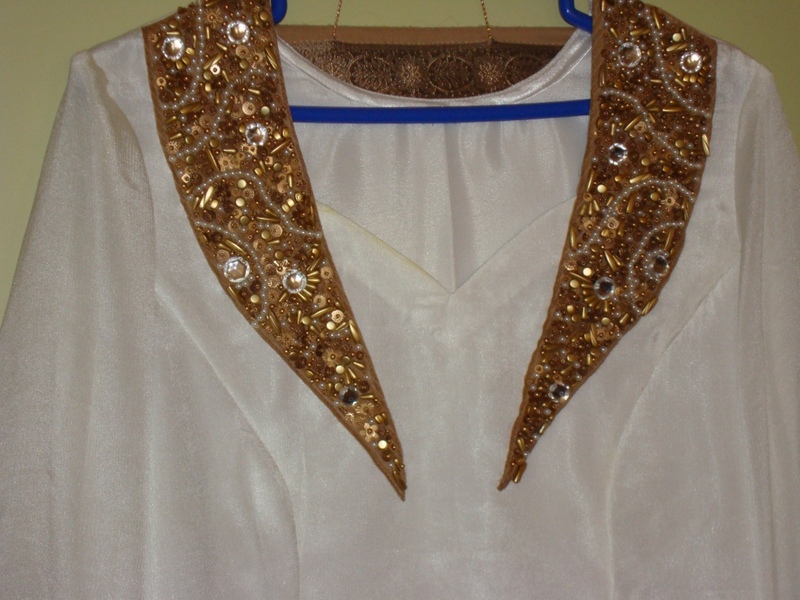 I drew two similar[not copied] neck pieces to be sewn on the white georgette tunic fabric. I have pictures only of the finished work. 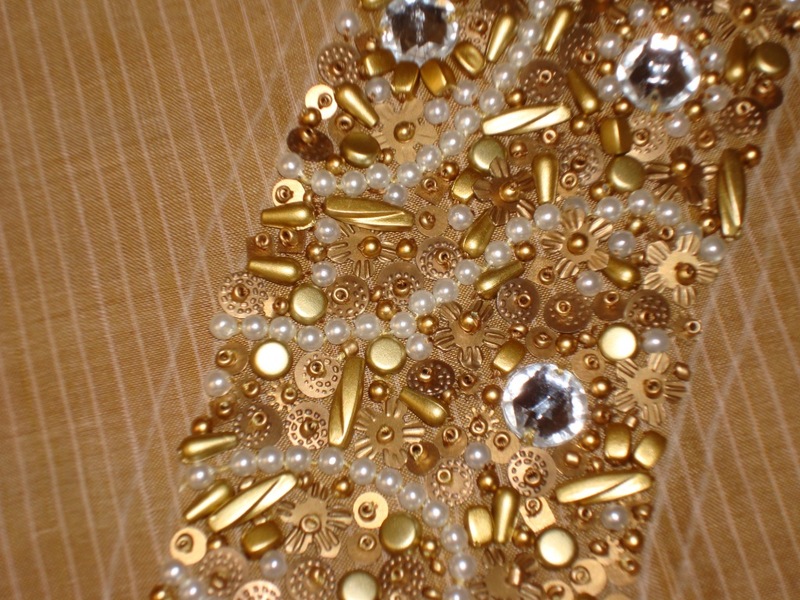 I wanted the pieces to look similar, so I tried to maintain this symmetry, while stitching the free style beadwork. I don’t think this free style beadwork would have looked impressive with any other colour other than white.I played safe by choosing white georgette, on a different note, the lining of the tunic was satin. This design idea came from browsing the various blogs. I thank each and every one of them for sharing their work. 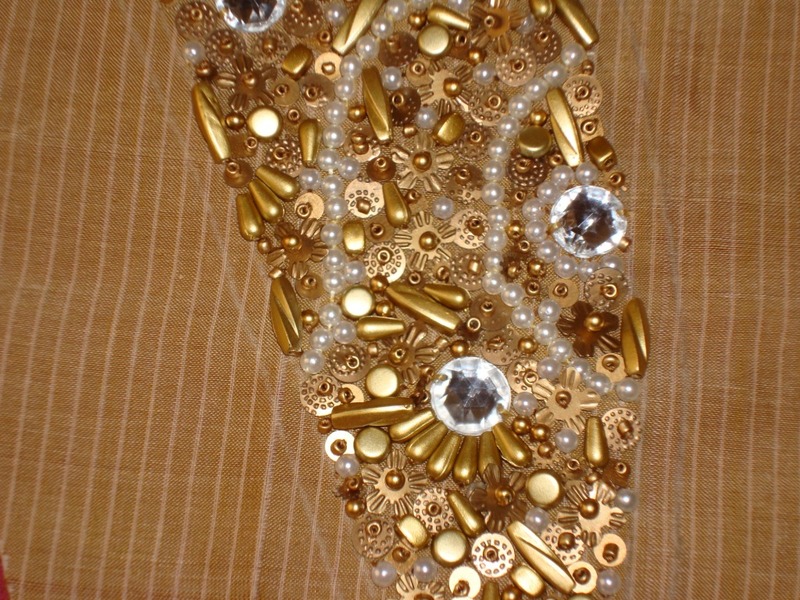 The idea of working with just beads on a piece ,came from browsing the net. There are so many bead work projects on the internet. I had not done any crazy quilting , for that matter any quilting projects till now. 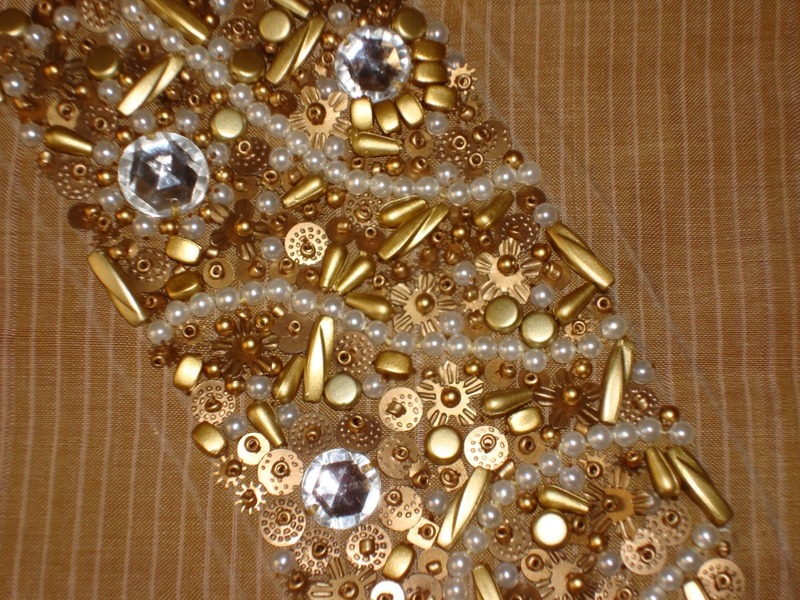 So this sudden urge to work a bead work project resulted in neck pieces to be sewn on a tunic. 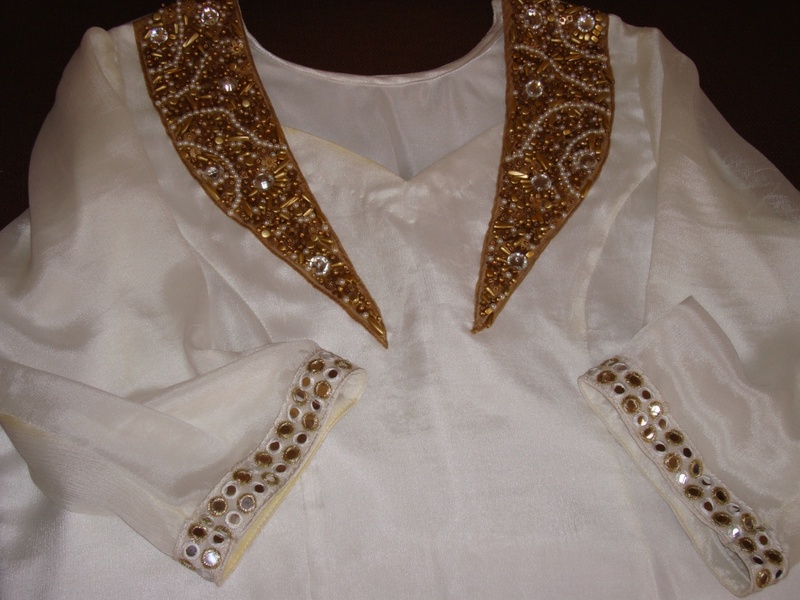 The chosen tunic was plain white chiffon. 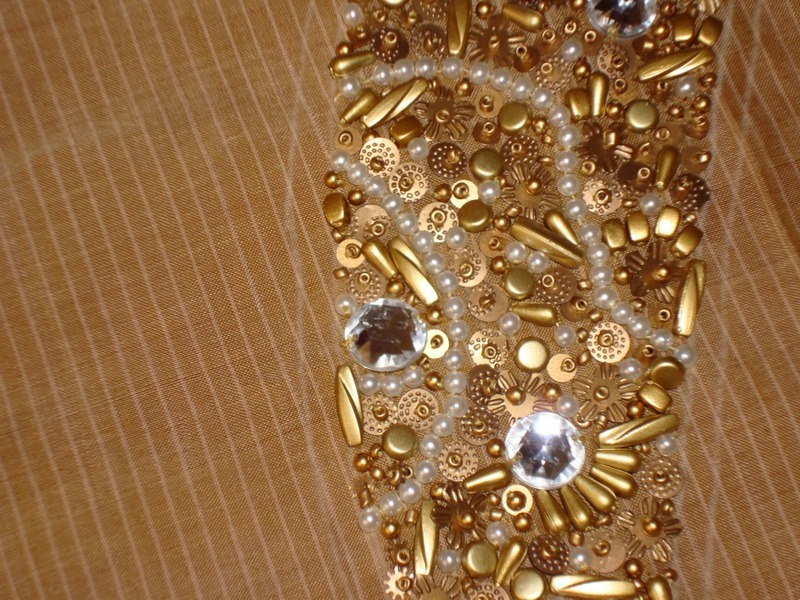 The beadwork was worked on mild gold colour fabric in mercerized cotton. 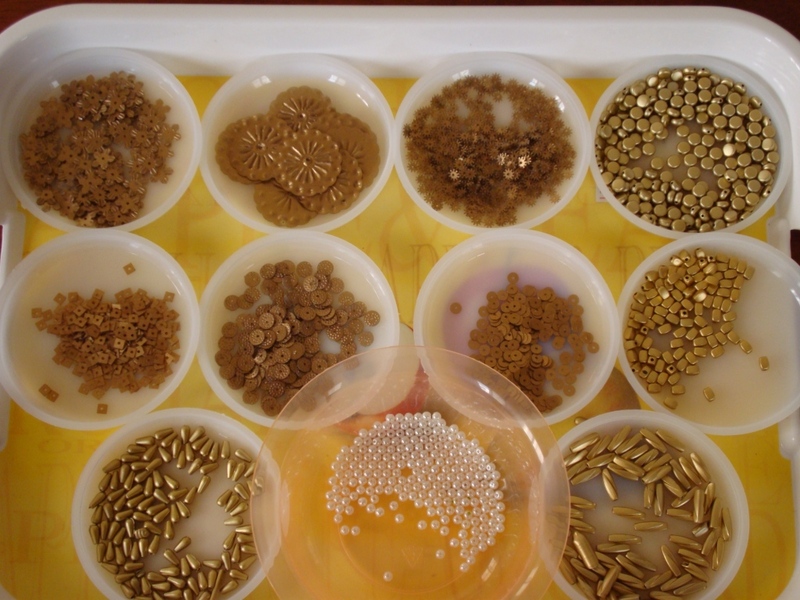 This is the selection of beads used for this project.I also attached round white stones olong with these beads. I did not take any pictures during the working of these pieces. The completed neck pieces, will be on my next post.